Welcome to a virtual book club designed specifically for technical women. Global Tech Women selects books requested by the community on topics of interest for women around the world and provides regular meet-ups for us to gather virtually at convenient hours, network and learn from one another. Our sixth Book Club selection, The Power of Habit: Why We Do What We Do in Life and in Business, is an excellent work by Charles Duhigg. A reporter for the New York Times, Duhigg shows us not only how we have make permanent changes to our own routine, but how we can have a positive impact on others. Given the number ofus starting at New Years resolutions we thought this would be an excellent opportunity to share the ideas in this book and for the Global Tech Women community to talk about their goals for 2014. It’s 2014! Congratulations on making it through another year! 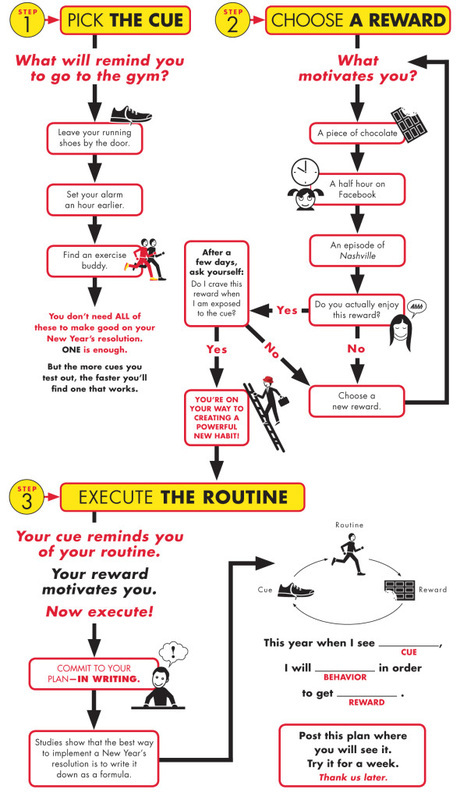 Luckily, we’ve got a flowchart that tells you how to design New Year’s Resolutions according to the science of habit formation. The key is to take advantage of the 3-step neurological process that creates a habit. First, choose a cue, like leaving your running shoes by the door, then pick a reward — say, a piece of chocolate when you get home from the gym. Eventually, when you see the shoes, your brain will start craving the reward, which will make it easier to work out day after day. In his excellent book “The Power of Habit: Why we do what we do in life and business”, award-winning New York Times business reporter Charles Duhigg explores why habits exist and how we can change them. Specifically, Duhigg narrows in on the brain physiology that reinforces the “habit loop” – a continuous cycle of cue, routine and reward that underlies all habitual behavior, both good and bad. In essence, habits are shortcuts our brains use to automate responses, whether physical, mental or emotional, to specific cues or stimuli, leading to specific rewards. As habits are reinforced by each cycle of the “habit loop”, cues and rewards meld together, producing intense anticipation and powerful cravings. With such powerful stimuli, the routine of satisfying the craving becomes almost automatic, unconscious. “The Power of Habit” is a must read for those who are serious about breaking free from the tyranny of bad habits. I personally found it liberating, and successfully applied its logic to reprogram a few bad habits of my own in 2013 that I could never seem to overcome. It has been an immensely gratifying, confidence-building experience for me. So much so that I am excited to tackle my next set of bad habits in 2014. 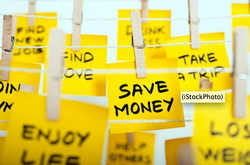 If you’re looking to meet those types of goals in your own financial life, you might want to consider the findings of Charles Duhigg, author of “The Power of Habit: Why We Do What We Do in Life and Business.” Duhigg, a New York Times reporter, found that shifting habits involves a neurological process. “In the last 15 years, we’ve learned that every habit has three components. There’s a cue, or a trigger for the behavior to start, then the behavior itself, and then the reward. That’s how the neurology learns how to encode that behavior for the future,” he says. Changing a habit, then, involves focusing on that cue and reward. If you want to establish a running habit, for example, you can add a “cue” to your day: Put on your running shoes before breakfast, for example, or keep your running clothes next to your bed. The point is to have some kind of “trigger” that your body connects with the new habit.